Dentdale is described as a ‘heavenly valley’ on the official Yorkshire Dales National Park website, and who could argue with this description? Quiet lanes bounded by hedgerows run each side of the dale linking the charming main settlement of Dent with small communities at Gawthrop and Cowgill and hamlets in between. Centuries of hill farming have shaped this lovely landscape, once carved by glaciers; here, miles of dry-stone walls march defiantly up the contours and ancient field barns recall a time when hay harvests were gathered in by hand. There are miles of footpath to explore along the dale’s wooded riverbanks and gills with plenty here to keep those searching for peace and tranquillity occupied. 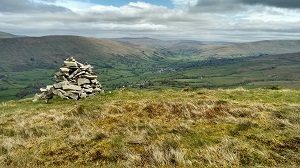 With its proximity to the fine fell scenery of ‘Three Peaks’ walking country and lying close to the heart of the recently expanded National Park, Dentdale also provides an ideal base for venturing further afield. Routes along the main dale, and side valleys of Deepdale and Barbondale, offer access to some of the National Park’s top attractions, including the famous ‘Three Peaks Challenge’, the Settle-Carlisle Railway, White Scar Caves, Wensleydale Creamery and a host of spectacular waterfalls. 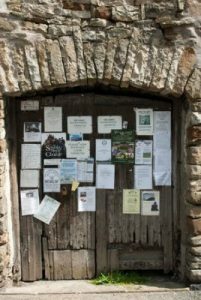 Though lesser-known than many of its larger Dales neighbours, this valley with its fascinating terrain is relatively well-connected to the outside world via train and road links. In under an hour, the neighbouring Lake District National Park can be reached while the M6 is just a 25-minute drive from Dent.